The Feather River is one of the main river systems in California’s Mother Lode region. It is the major tributary to the Sacramento River, and was one of the first areas that gold was discovered during the gold rush in 1849. There are four major forks of the Feather; the South, Middle, North, and West Branch of the Feather River. Of course, each of these rivers is fed by many smaller streams that cover the northern extent of the Sierra Nevada Mountains. 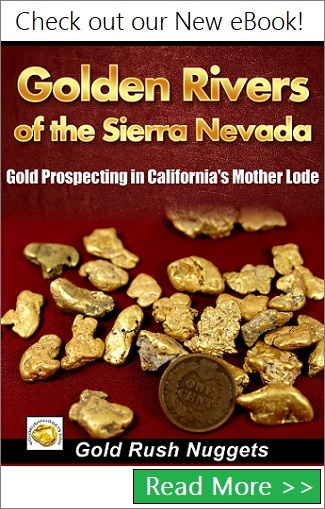 Gold has been found all throughout the various waterways here and was a destination for thousands of early gold miners during the original California Gold Rush. Near the base of the western flanks of the Sierra Nevada’s is the historic mining town of Oroville, originally called Ophir City. Gold was discovered here at a site called Bidwell Bar, one of the earliest mining sites in California. The early miners worked the area by hand using shovels, picks, gold pans, and sluice boxes, and found the entire area to be exceptionally rich with gold dust and nuggets. The area was crawling with miners from all around the world, and gold mining was productive for many years. At the end of the 19th century, evaluation was done in the area of Oroville to determine if gold reserves warranted further exploitation on a larger scale. Due to the rich gravels in the area, bucket line dredges were brought into the valley to access the deep rich paydirt along the Feather River. By the early part of the 1900’s, there were over 3 dredges churning up the riverbeds up and downstream of Oroville. There are many more historic sites all throughout the Feather River drainage. Further downstream, the historic towns of Marysville, Linda, Olivehurst, and Yuba City were located near the confluence of the Yuba River and Feather Rivers. There is still plenty of gold left in the ground, and the high price of gold has modern day prospectors back in the mountains more than ever. 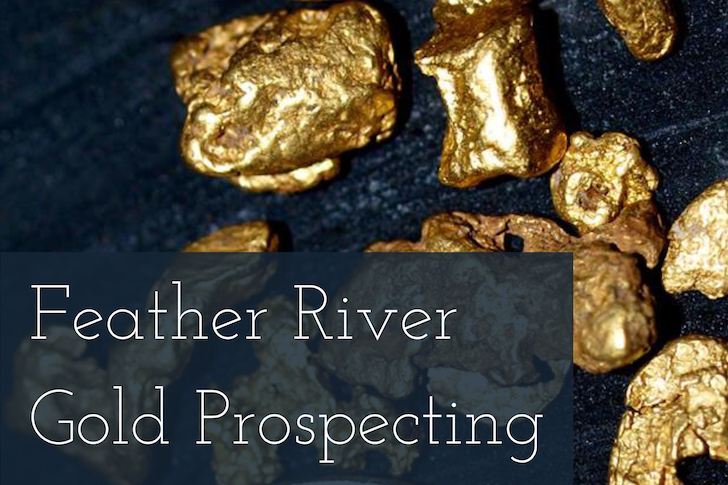 The Feather River still provides excellent gold opportunities for gold prospectors, although most of the main river system is usually claimed up, there are thousands of miles of small tributaries that feed the river that also have placer gold. This region is one of the richest gold fields in the world, so prospectors in this area will have no trouble finding a bit of gold. Most prospectors will have success by locating those areas that have been mined early on by the historic gold miners to the area. There are hydraulic pits scattered throughout the region, and much of the riverbed of the Feather River was churned up by large bucket line dredges along with smaller doodlebug dredges. Additionally, there are many miles of hand placered creeks, and small prospects scattered throughout the mountains. Some of these are easily located on a map, but often the smaller prospects are well hidden and will require plenty of research to find. The crude mining methods used by the early gold miners ensures that there is always some gold that was left behind. Gold prospectors today have the benefit of quality equipment that was not available to the old timers. Modern sluice boxes and gold pans are very efficient at capturing fine gold. Dig down to bedrock in creek beds and search for the small cracks that may have been overlooked. Occasionally, a lucky gold prospector can uncover a small piece of virgin ground and find many ounces of gold. Metal detectors are another great tool that were unavailable to the early miners, and can be used very effectively today. The dredge tailings along the Feather River still hold some large gold nuggets that were discharged by those old dredges. Many prospectors are having great success finding some very nice nuggets using metal detectors. The Feather River drainage is one of the richest and most productive areas in California. With a bit of research you can still find plenty of gold here.